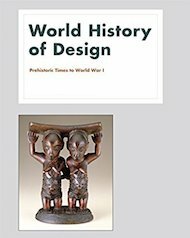 World History Of Design, by Victor Margolin, was first published in two hardback volumes in 2015, costing around £600. Last month, this unprecedented and definitive book was issued in paperback for a tenth of the original price. Both volumes include a selection of colour plates, and each chapter has an excellent annotated bibliography. The first volume (Prehistoric Times To World War I, at more than 500 pages) is significant for its extensive treatment of pre-industrial design. In contrast, most histories of design begin with the Industrial Revolution; The Story Of Design is a notable exception, though it lacks the depth of the World History. 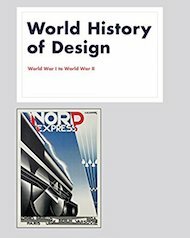 Volume two (World War I To World War II, at almost 1,000 pages) is remarkable for the scope of its non-Western coverage, making the World History a truly global account of design. Again, this sets the book apart from other design histories (such as The Story Of Design, and David Raizman's History Of Modern Design), which focus only on Europe, America, and Japan. Margolin notes in his introduction: "One exception to the geographic limitations of prior design history narratives is the recently published History of Design: Decorative Arts and Material Culture 1400-2000". That superb book remains the most comprehensive single-volume design history, though the World History's multi-volume format allows Margolin to cover not only the entire world but also the entire history of the subject.